Gorgeous in every way, the Loukkos pendant features an elegant, squared frame with a gleaming gold-leaf finish. 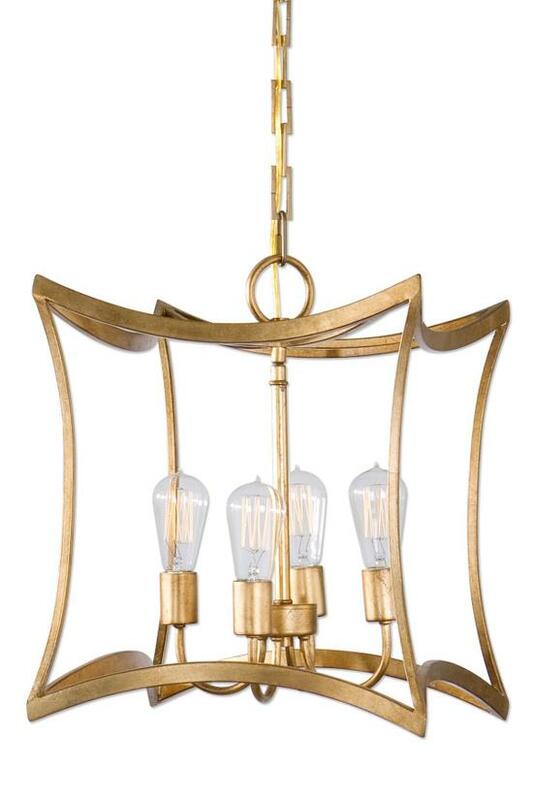 A regal statement piece in an entry, over a nightstand or in a dressing room (we also love it suspended in two's or three's at staggered heights), it comes with four Edison bulbs, which emit a warm, ambient glow akin to candlelight. Steel frame with a gold-leaf finish. Four Edison bulbs (included) emit a warm, ambient glow, 60W max.